Here is the gorgeous orange creme "Starfish" from the Bettina collection Resort. 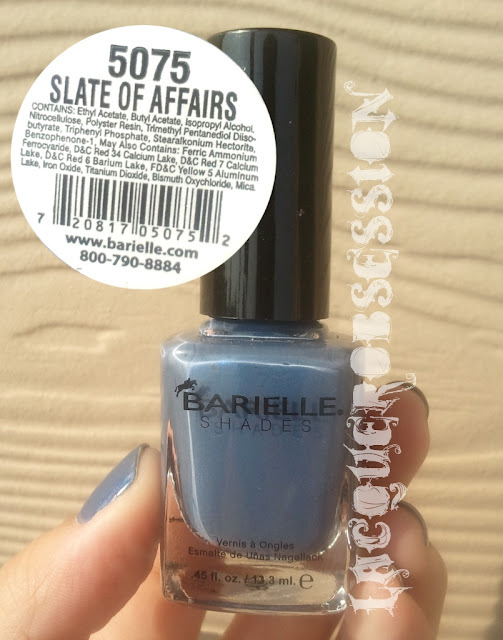 Here is what Barielle very nicely describes as worn denim, "Slate Of Affairs". 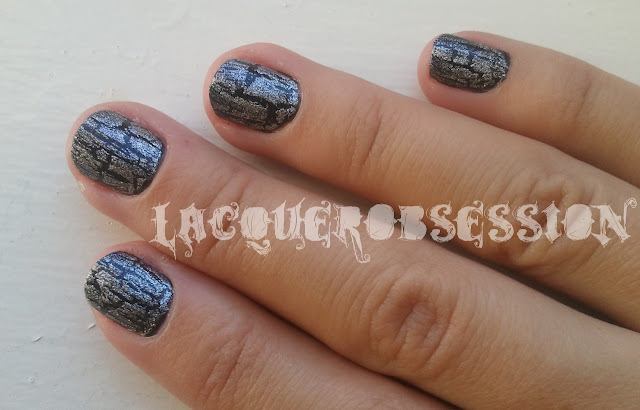 Ulta "Little Black Dress" & OPI "Silver Shatter"
Finally got my hands on OPI's "Silver Shatter" here's how it looks with Ulta "Little Black Dress". 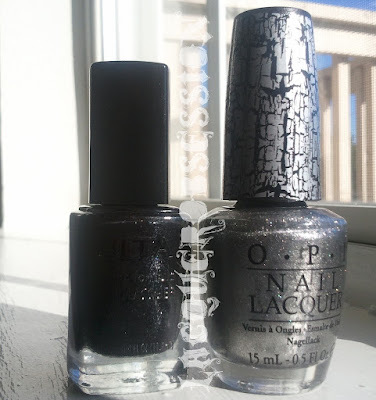 And here is Ulta's "Little Black Dress" on it's own. 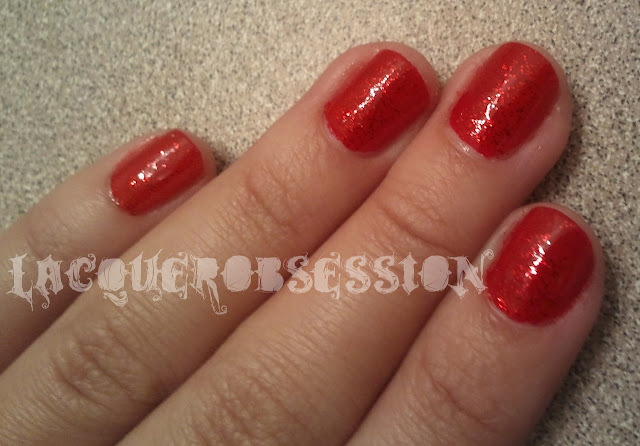 NYC "Big Apple Red Creme"
& with a layer of Orly "Last Dance"